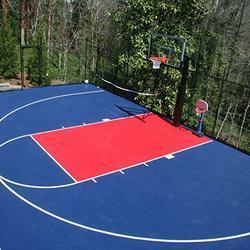 Manufacturer of a wide range of products which include rubber basketball flooring and high temperature silicone paint. We specialize in manufacturing and supplying a qualitative range of High -Temperature Silicone Paint. These are formulated from optimum quality raw materials and chemicals which are procured from trustworthy vendors of the industry. Our paints are resistance to high temperatures with resistance to the range of 250 to 600 C and available in single packs. Solvent based our paints are available in various sized packaging. For application on chimney stacks, boilers, steam pipe lines , stoves etc.